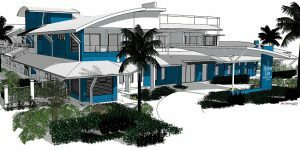 An artist’s rendition of the future Cairns Spinal Life Healthy Living Centre. Regional Queenslanders with a physical disability will be able to access state-of-the-art rehabilitation equipment thanks to a $247,500 grant recently awarded to Spinal Life Australia. The funding, which was received as part of the Regional Jobs and Investment Packages program from the Department of Industry, Innovation and Science, will go towards purchasing equipment for the future Spinal Life Healthy Living Centre in Cairns. The grant funding will be used for strength training equipment for people with a physical disability, a pool lift for access to a hydrotherapy pool, driving assessment equipment, pressure mapping systems for optimal seating and sleeping and a training course for learning and practising wheelchair mobility skills. Spinal Life Chief Executive Officer Michael Powell thanked the Department of Industry, Innovation and Science for the funding and said it would be put to good use at the Centre. “The Healthy Living Centre will provide access to specialised allied health services, rehabilitation equipment and accessible accommodation for people with spinal cord damage or physical disability,” Mr Powell said. “The Centre will also support people in the transition from hospital to home by providing accommodation for Far North Queensland residents as they await home modifications or support packages. “Previously, people would have to stay at the Spinal Injuries Unit in Brisbane during this period. Additional equipment sourced for the centre will include ceiling hoists for lifting and transfer assistance, height-adjustable accessible beds and assistive technology to help support people who sustain a spinal cord injury to return to work. The Cairns Healthy Living Centre project was announced in August and construction is expected to commence soon.